Five star luxury hotel meets bustling entertainment complex: Star City quite literally has everything you could possibly need under one roof. A hub of entertainment in Australia’s most famous city, the massive complex couldn’t be situated in a better location, and boasts stunning views of both the harbour and the city skyline. For the gambling connoisseur, it’s a veritable haven of slot machines, roulette tables and card games, while the swanky new baccarat room should satisfy even the most particular of customers. Even if you’re not a regular on the Casino scene, the amazingly infectious atmosphere means you won’t be able to risk having just the tiniest flutter. Of course the casino facilities are just the tip of the iceberg when it comes to the entertainment facilities on offer at Star City. For the girls, the spa and salon (including amazing rooftop swimming pool). For the boys, the cinema-sized sports screen auditorium. For couples, the romantic Astral roof bar. And for families, the West-End worthy theatre shows (think the likes of Cats, West Side Story or Swan Lake on ice). But if you’re worried that a jam-packed entertainment venue will mean all-night noise and sleepless nights, then you couldn’t be more wrong. Entering the hotel part of the complex is like entering another venue entirely – where the bright lights and buzzing atmosphere make way for quiet, calming corridors and relaxing suites. For such a large hotel, the attention to detail is remarkable – we were welcomed by a waiter bearing champagne, strawberries and chocolate tuffles. Plus, being part of such a large complex means that there is no shortage of dining options – Sean’s Kitchen serves top quality seafood (but with top prices to match), while Fat Noodle is great for grabbing a bite on a budget. Apartments are spacious, comfortable and decked out with every possible amenity you could need – the breathtaking balcony was a notable highlight for me. 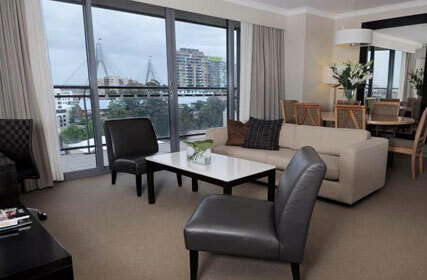 Details: Star City Hotel and Casino,80 Pyrmont Street, Pyrmont, Sydney, NSW; 61 2 9777 9000. Room rates start from $245 (approximately £145) per night for two, while prices for a two-bed apartment start from around $295 (about £269). 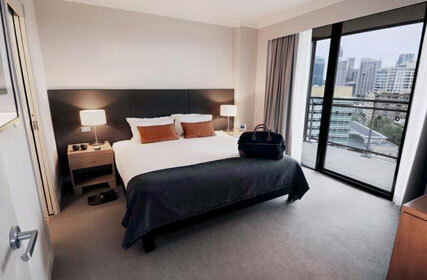 A range of special hotel packages are also available from $260 upwards (about £149).